The kids next door have this swing. 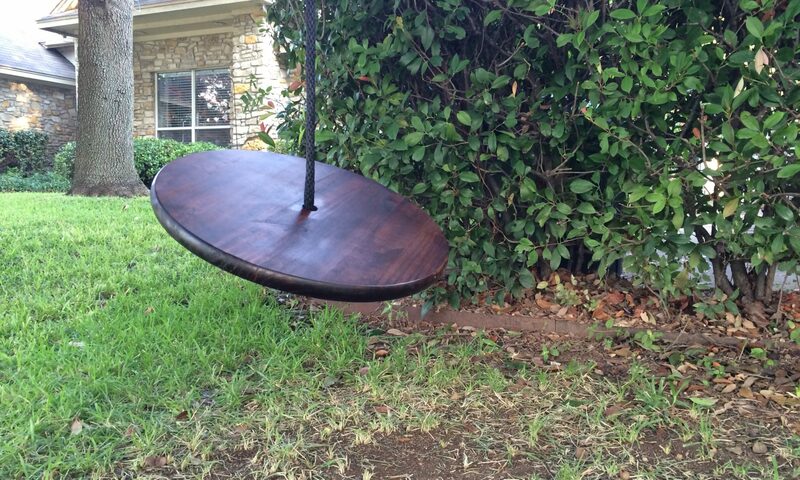 It’s a simple disc swing, made of wood, stained dark, with a sturdy synthetic rope through the middle and a washer on the bottom to help secure the knot. They hanged it in their front yard, and I can see them swinging on it from my desk. Now that the heat of our Texas summer has relented, the two oldest of the kids usually take a swing on it when they get home from school. They both drop their backpacks without a care in the world. The boy climbs on and his older sister gives him a good push. And I smile. I smile because of where that swing came from.